Red and white with a hint of green. 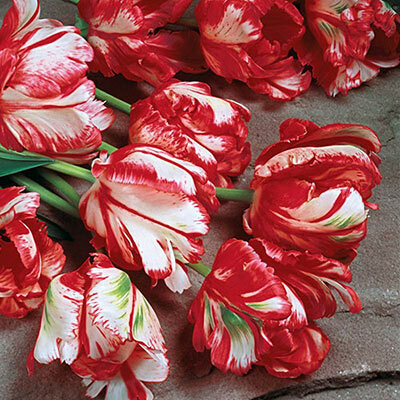 With their exotic shape, color and design, these sensational Tulips resemble their namesake colorful tropical birds. 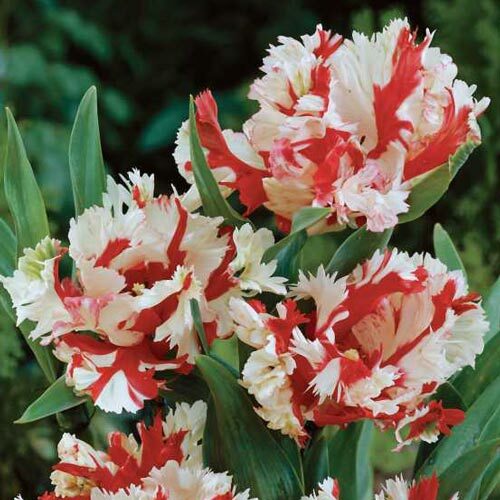 Parrot Tulips are the largest and most spectacular of all Tulips. They bloom on tall stems amid striking green foliage. Plant them in focal spots for a dazzling floral sensation...a decorator's delight!